The principle objective of this report is to analysis Contribution Scope and Limitation of E-banking in Bangladesh. 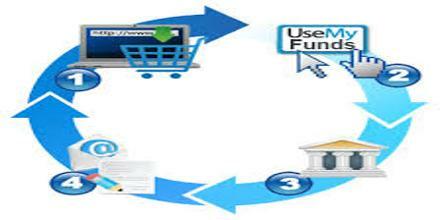 Other objectives of this reports are to accept modern electronic banking. Finally this report make swot analysis Contribution Scope and Limitation of E-banking in Bangladesh. Any branch banking/ anywhere banking. Card-Debit/ ATM card and credit card. Bank of Small Industries and Commerce Bangladesh Ltd. Huge Number of branches all over the Bangladesh even outside the country and for the purpose of automation huge investment is necessary. Most of the branches are in the rural areas where there are no modern digital communication facilities. Most of the users or clients of the banks are poor and uneducated village people having no knowledge about electronic banking and cannot afford it at the current cost level. Most of the officials of these banks in the classical stage especially the state owned ones are aggie and cannot understand and are reluctant to accept modern electronic banking. To turn around these banks at first the outdated mentality of these officials of the classical banks. Process handling becomes faster. It includes day end process, month end process, monthly/yearly interest calculation; fixed deposit receipt process, scheme process and loan process etc. In traditional system, to accomplish audit, government officials need to go to every bank. After IT implementation they do not need to go to banks rather they can collect the same information through network and audit report can be generated within few minutes. In traditional system it is time dependent to transfer money from city to remote area and also a matter of some investment. During the transfer time the money is idle so it’s a great loss for the bank as well as customers. Electronic system can be used to transfer money within a few seconds (Intra-bank). Trying to launch or at least have planned to initiate online banking Tele banking etc in near future. Initiating modern banking concepts like one-stop services, serving the underserved market, and continuously updating their service and product portfolio. Providing quick transfer of remittances with the help of international money transfer unions like Western Union, Express Money and Money Gram. E-banking provides many convenient and time saving tools such as: online bill paying, automatic bill pay, online account view, online check view, online statements, and many more. Illiteracy is a great problem in consideration of E-Banking activities execution.